Mary Ann Mendoza and Michelle Root are two women who suffered the same tragic incident: the death of a child. Mendoza and Root’s cases, whose children were both killed by illegal immigrants, are further linked by the fact that both their losses could have been avoided, they say, if the U.S. had stricter immigration laws. The two women are part the “Angel Families” organization, which was given a larger platform under President Donald Trump, and seeks to address immigration laws and bring light to their permanent separation from loved ones. Mendoza’s son, Brandon, a Mesa, Arizona, police officer, was killed on May 12, 2014 in a violent head on collision by a drunk driver driving the wrong direction on a highway as Mendoza was headed home from work. “I absolutely went numb. My life shattered at that moment,” Mendoza said in an interview with The Daily Caller News Foundation. Root’s daughter, Sarah, was also killed in a car accident by an illegal immigrant who was drunk and drag-racing and crashed his car into Sarah’s in January 2016. “My daughter […] was the most caring, loving person who put others before herself,” Sarah’s mom told TheDCNF. “This has nothing to do with ethnicity or race or skin color. We’ve never mentioned that because illegal aliens come from all over [other countries],” Mendoza added. The Trump administration has advocated for these moms and others who been affected by illegal immigrant crime, dating back to the campaign trail in 2016. “In 2016, he [Trump] was not even the nominee when my daughter was killed. So for him to take the time to want to meet with us and discuss our daughter’s situation meant the world to us,” Root said of Trump asking to share Sarah’s story in his acceptance speech to the Republican National Committee. Others present at the rally included former White House deputy assistant Sebastian Gorka, GOP Rep. Steve King of Iowa and former Maricopa County Sheriff Joe Arpaio. 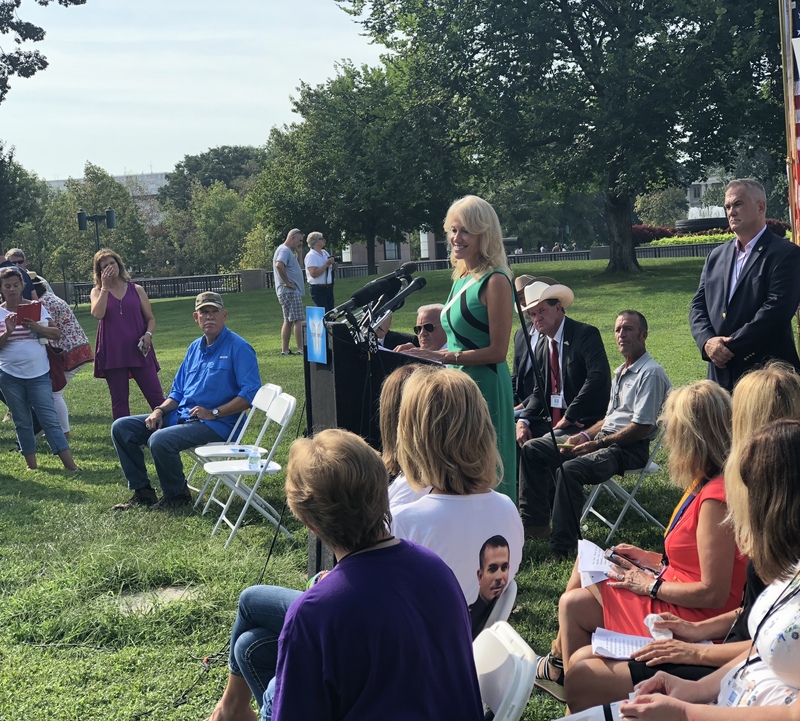 Trump also held an event for Angel Families on June 22, as immigration continues to be a top issue for both parties as well as voters heading into November’s elections.